Don’t you just hate it when one of your nail breaks? Don’t worry! You can easily fix your broken fingernail and the next time you paint your nails, no one will be able to tell your nail is broken. Almost everybody has experienced a broken fingernail at least once. This is a situation that requires urgent solution – to cut it or try to fix it. Women who keep longer nails can be particularly frustrated by their cracking, and if this happens to you – try a trick that will help. In order to do this you will need a tea bag, scissors, files, some glue and nail polish. Splitting of the fingernails or onychoschizia may be associated with a lack of vitamin B, as well as disorders of the thyroid gland. 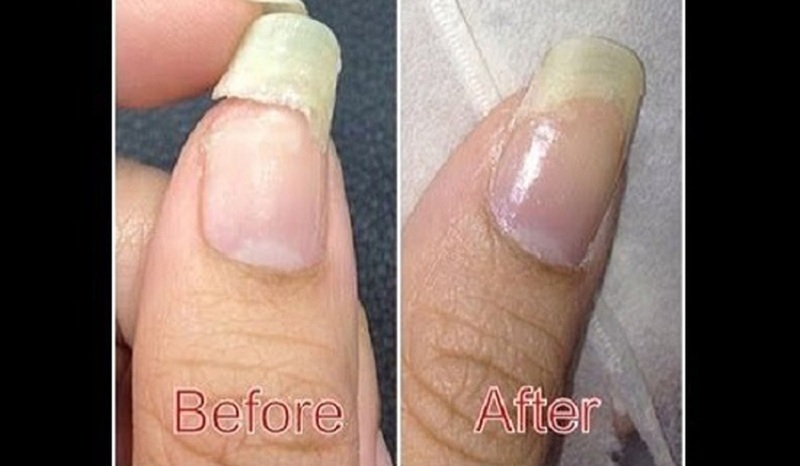 Yellowing of the nails is usually caused by the fungus, and the color may be due to the cigarette smoke. White lines on the nails are a sign of a lack of nutrients in the body, poor liver and kidney function and immune suppression. Bluish nails are a sign of low oxygen saturation, and pulmonary diseases. Generally, weak nails can be a sign of anemia.